Pro Football Weekly reports that Sebastian Janikowski’s leg is going to greatly have an impact on the Raiders games in 2011 in a couple of ways. Raiders PK Sebastian Janikowski is now in the NFL record book, thanks to his 63-yard field goal in Week One. Most coaches would have been concerned about such a long boot, but not Oakland’s Hue Jackson, who said after the game he knew the kick was going through the uprights. 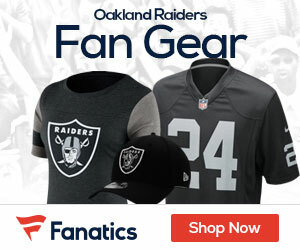 The coach’s confidence in his placekicker is important, because Janikowski’s thunderous leg will be one of the Raiders’ more valuable weapons this season, not only on special teams but also with regard to the offense and the defense. His incredible field-goal range will help the team put up points in situations where they usually wouldn’t come away with anything. Oakland was just 5-of-14 on third downs in Week One, and the offense lacks the playmakers needed to gain tough yards and sustain long drives. Janikowski also recorded touchbacks on all five of his kickoffs in the season opener, helping the defense put pressure on opponents by forcing them to drive the length of the field.